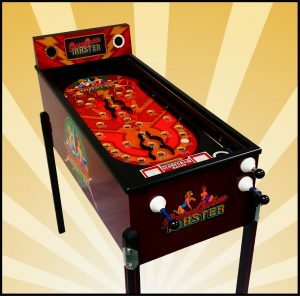 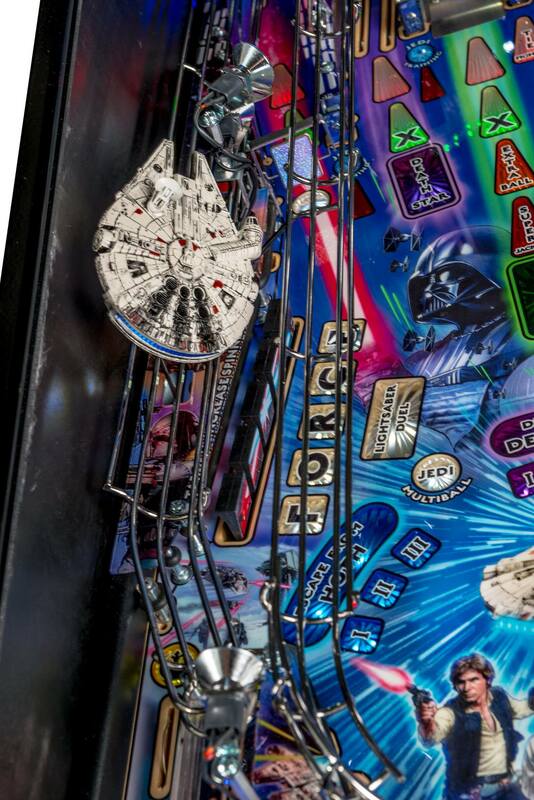 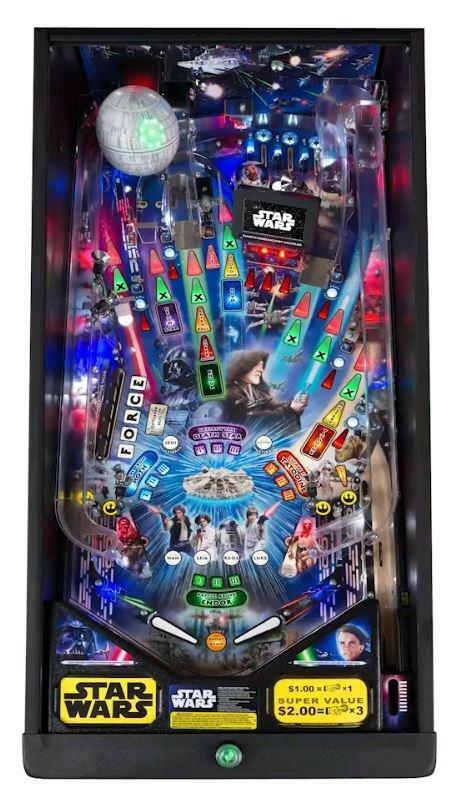 Stern Star Wars pinball machine for sale (UK Version). 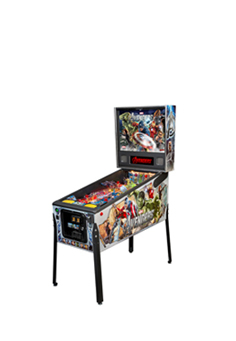 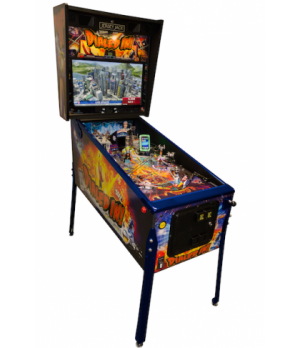 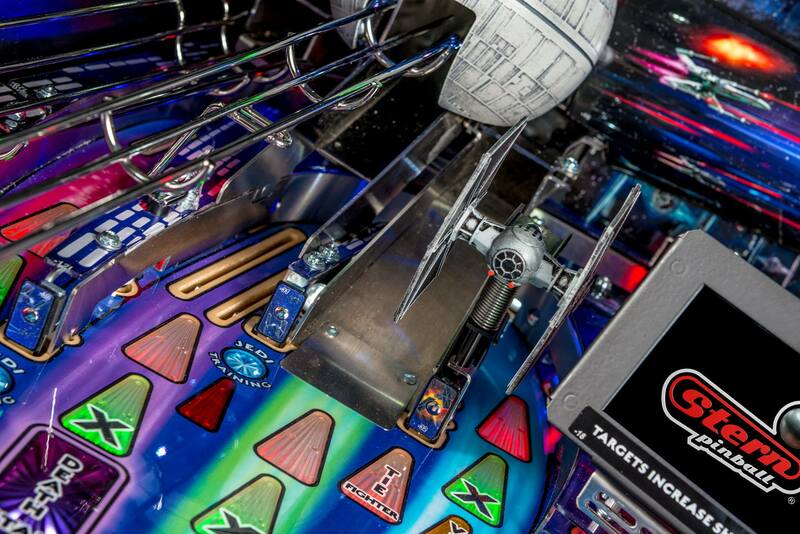 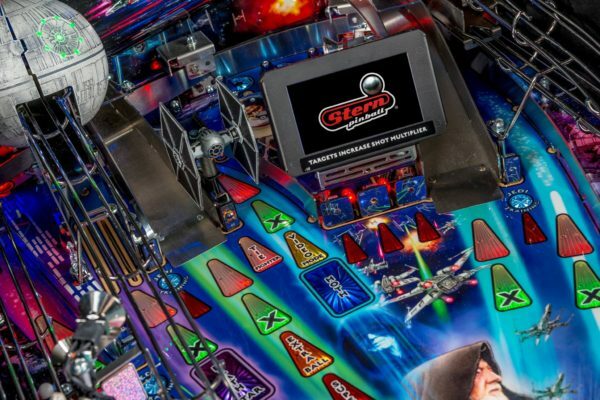 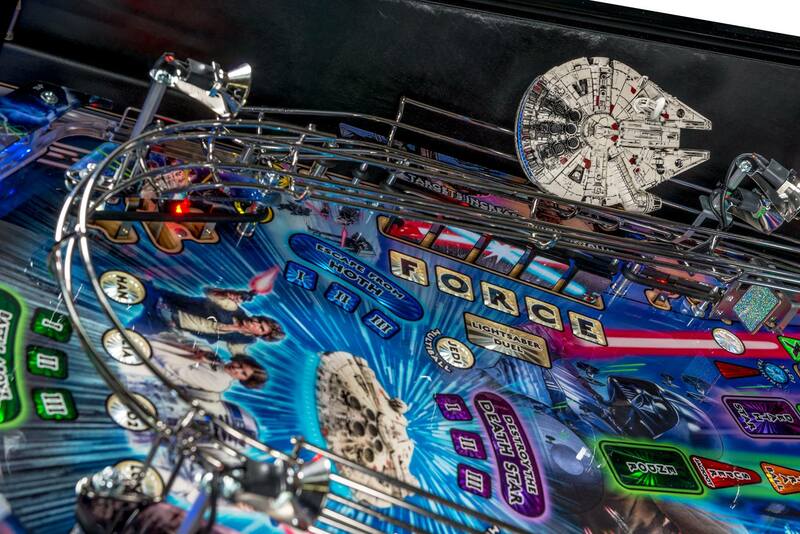 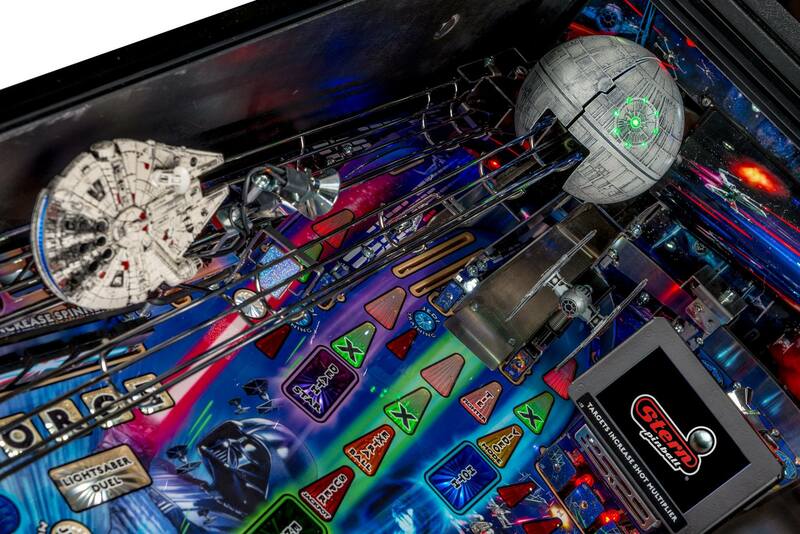 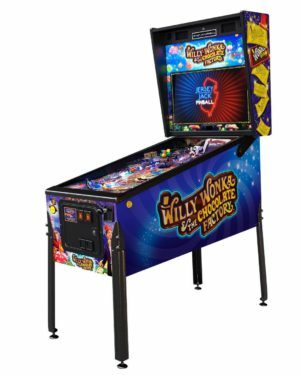 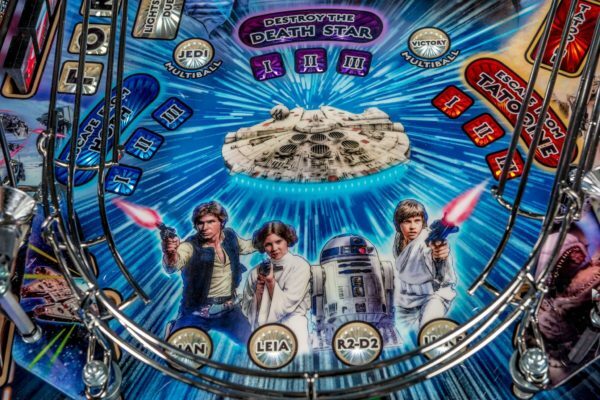 Stern’s Star Wars Pro, Premium and Limited Edition pinball machines are packed with features that provide an irresistible game experience. 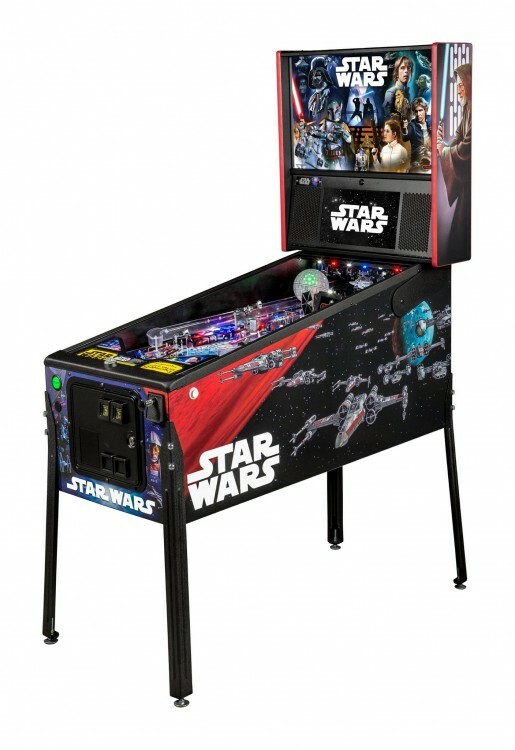 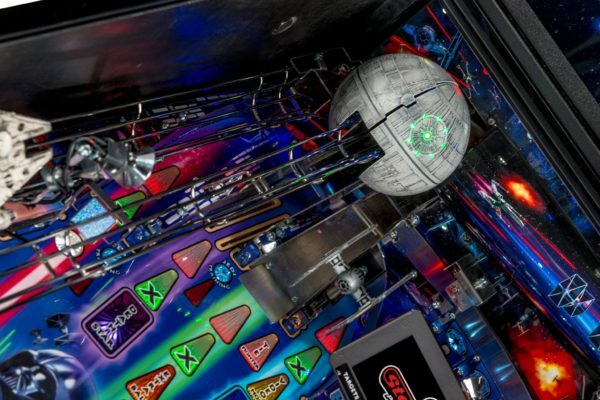 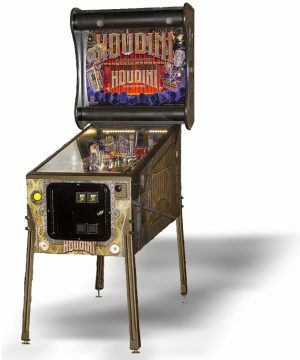 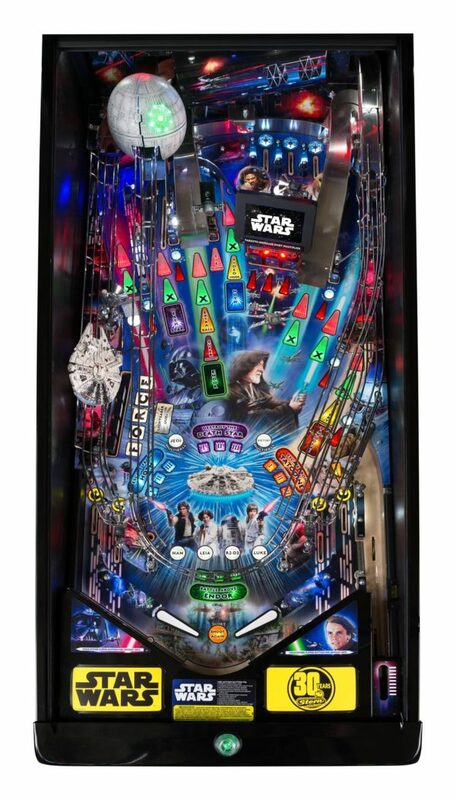 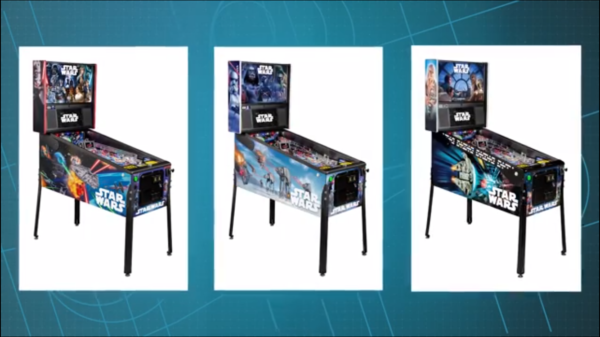 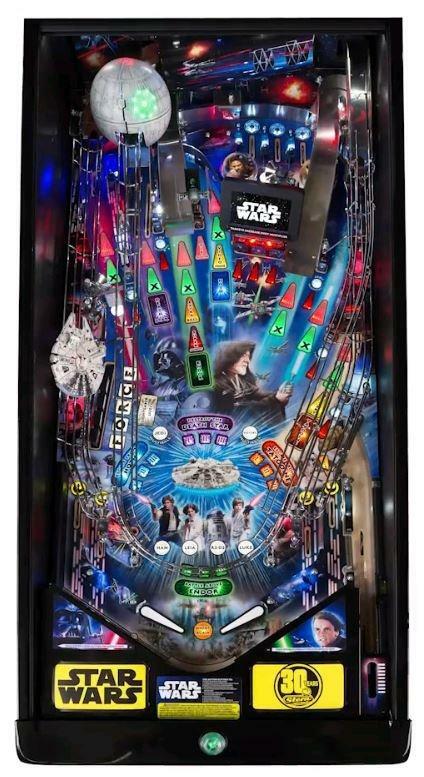 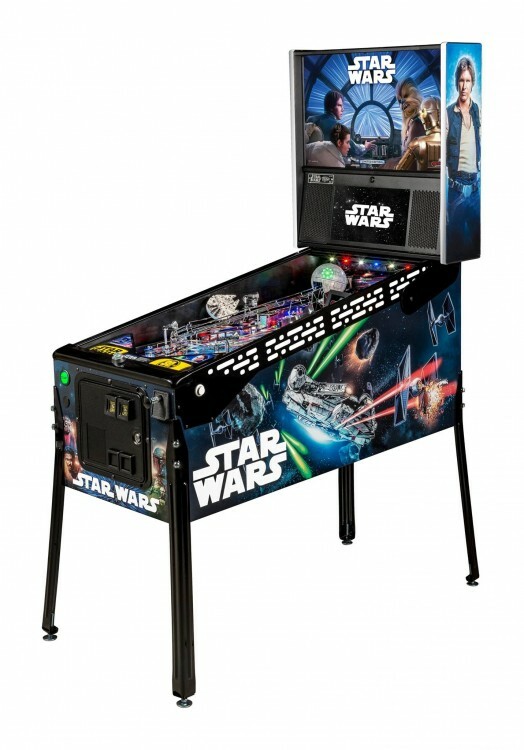 The game includes select speech and footage from the original Star Wars trilogy; color-changing LED-lighted inserts; two LCD screens; and a sculpted TIE Fighter. 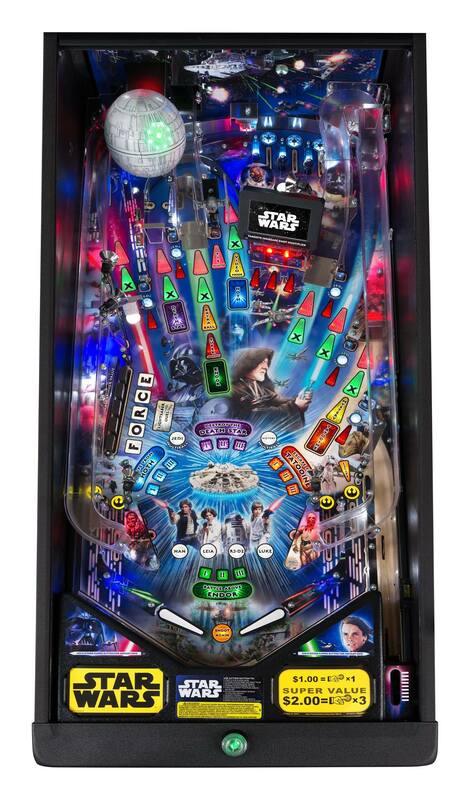 The Limited Edition and Premium models also feature a sculpted LED-lit Millennium Falcon, an exploding Death Star interactive display, and a hyperspace ramp.